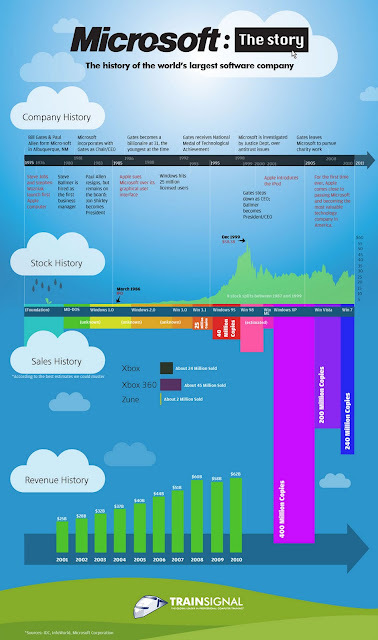 Microsoft is the largest software maker in the world. Check out this infographic capturing the history of the Redmond, Washington-based software giant. Since I do not remember the Web site where I collected this infographic (downloaded a few months back), the copyrights, if any, belong to its creator(s). awesum one . . ..